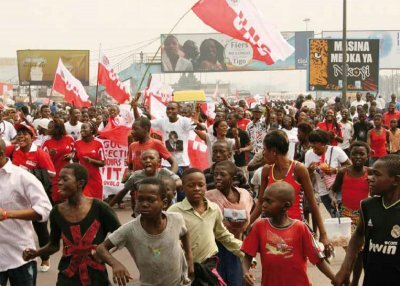 The 2011 presidential election in the Democratic Republic of the Congo was only the second free election since the country gained its independence in 1960. Gaylor, a penniless pastor (like most of Kinshasa’s nine million inhabitants) turned into an "atalaku", a town crier, following a deal with the most generous of the candidates, ensuring visibility on the street and finding musicians to write the official song of his campaign. Only a Congolese would have been in a position to film Atalaku, relating so strongly with those he filmed.